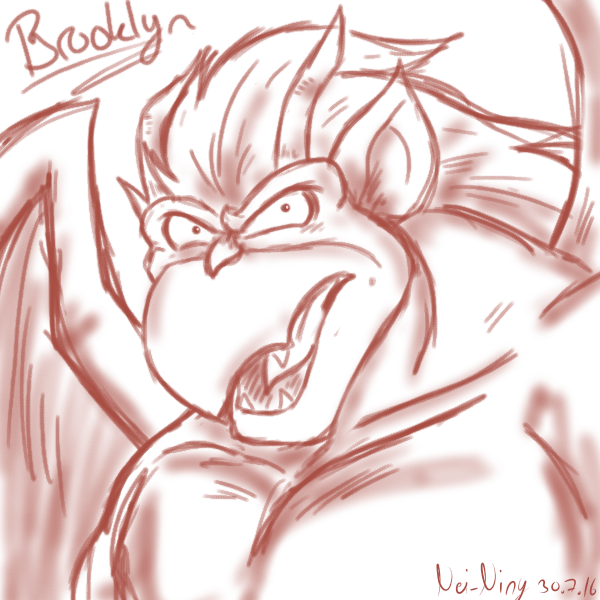 Because I love this gargoyle SO MUCH and yet I think I NEVER haven't draw any fan art about him :'D So here's one and my FIRST one (done in 15 min)! I probably will do line art and color him tomorrow (or actually later today). But yeah, I remember when I saw that Gargoyle movie as a kid (my parents bought it to us kids) and Brooklyn instantly became my favorite <3 But that's the only Gargoyle thing what I have seen.